UK car manufacturing output held steady in January, with just 72 fewer vehicles produced than in the same month last year, according to figures published today by the Society of Motor Manufacturers and Traders (SMMT). Output in the month fell by a negligible -0.05% year on year, as 147,481 cars rolled off production lines – effectively maintaining the nine year high set in January 2017. Exports drove overall volumes, with output for overseas customers rising by 1.5% to a record 119,252 units. This was in line with continued recovery across EU markets and followed the launch of several key global models throughout 2017. The growth offset a decline in production for the UK market, which fell for the sixth consecutive month, by -6.0% to 28,229, reflecting falling UK business and consumer confidence and confusion over government policies on diesel taxation and air quality plans. 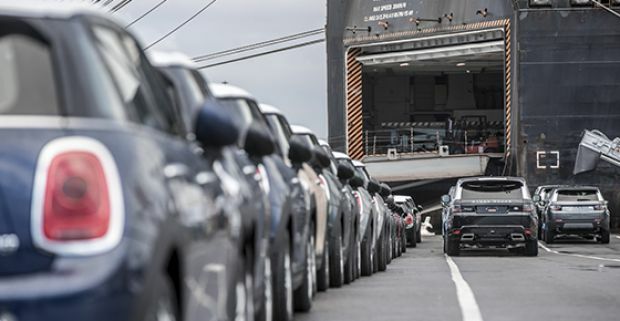 "While it is good to see global appetite for British-built cars reach record levels in January, this only reinforces the industry’s increasing reliance on overseas demand. Future growth will therefore depend on maintaining our current open trade links not just with Europe but with key international markets. A transitional deal will be an important first step but, in the long term, a seamless relationship between the UK and Europe must be maintained. The EU remains the third largest new car market in the world and, given it is on our doorstep, it is not surprising it accounts for more than half of our global exports".